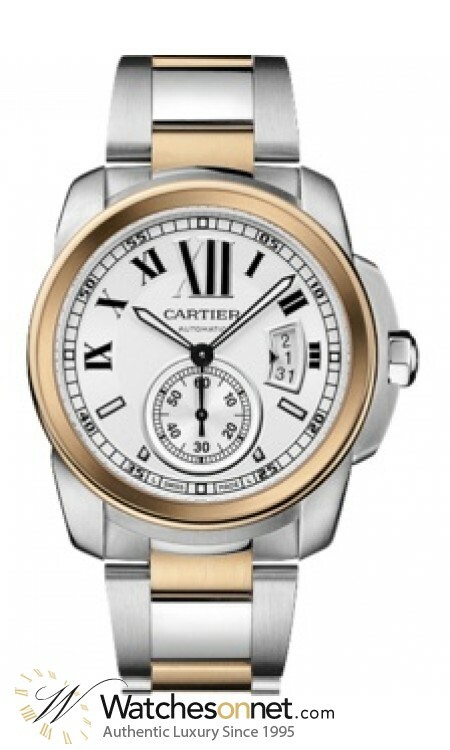 New 100% Authentic Cartier Calibre Men's Watch, Model Number W7100036 features Automatic Movement. Made from Stainless Steel, This Watch has a Silver dial and fitted with a Stainless Steel & Rose Gold bracelet. 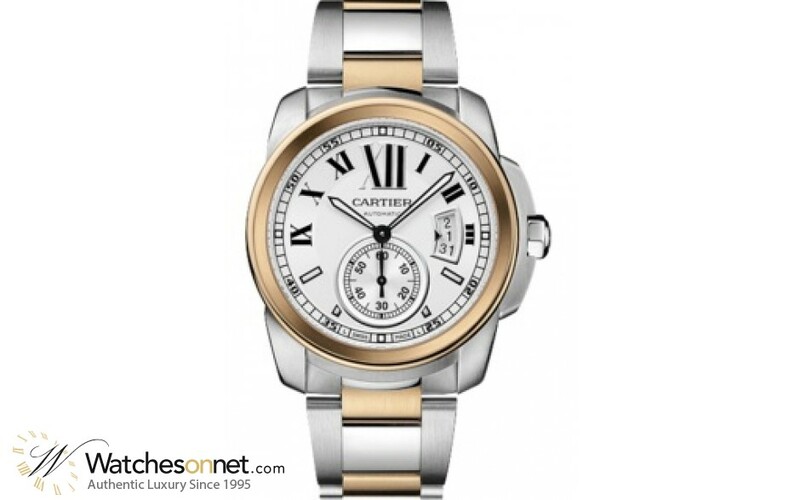 Cartier Calibre collection Men's Watch, Model Number W7100036 features Automatic Movement. Made from Stainless Steel, the bezel is made from 18K Rose Gold this Watch features a Scratch-Resistant Sapphire crystal, and has a Silver dial, its Stainless Steel & Rose Gold bracelet is adjustable from 7 in (17.8 cm), the clasp is a type and is covered under warranty for 2 Years. Stunning good looks on her face, guilloche accents highlight raised markers. The sapphire imbedded stem brings beauty and durability. Mechanical double-barrel function is sweep second smooth and amazingly accurate. The clasp is secure and easily operated. Size and weight are substantial and well-balanced. Art and science unite. If you want a beautiful timepiece with great function, the Calibre de Cartier movement excels.